Ryan Giggs is back at Manchester United's Aon Training Complex as he prepares his Wales team for their upcoming international fixtures. The club legend put his players through their paces on Tuesday morning, enjoying the facilities on offer at United's Carrington base. 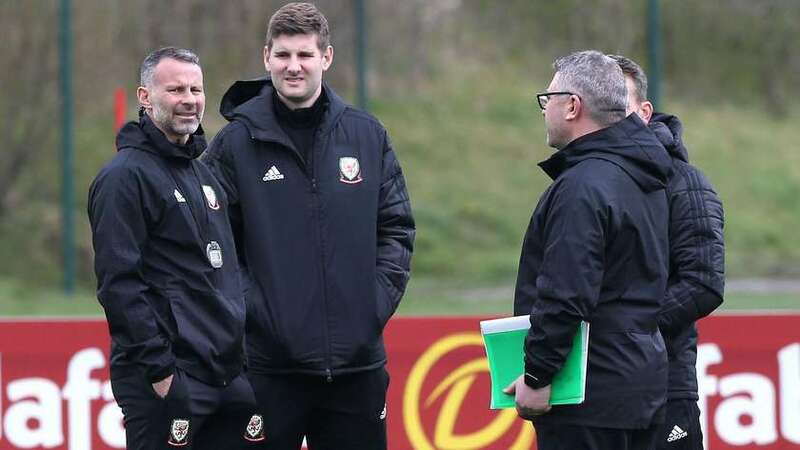 For Giggs, the opportunity to prepare at his old training ground was one he could not pass up in advance of Wednesday's friendly against Trinidad & Tobago in Wrexham. "Obviously I spent a lot of time here, both as a player and then, towards the end, as a coach," Giggs told us. "To see so many familiar people is great. It's great to be back. "I'm really thankful to United for letting me use the facilities. We have a facility in north Wales which isn't quite ready yet so I jumped at the chance, knowing both the facilities would be good and the excitement it would generate within the squad because training at the ATC is something you don't get to see every day. "I'm trying to drive the professionalism and standards and, obviously here, you see that. It's great for the pitches and beforehand with the pre-activations for the warm-up," the Wales boss added. Our former no.11 isn't the only familiar face back at the training ground and Albert Stuivenberg and Tony Strudwick, who have previously worked at the club, are also back as part of the Welsh set-up. "All the staff are valuable," said Giggs. "Tony and Albert worked here before so it's good for them to come back as well. I think all the staff have enjoyed it, coming in and seeing the facilities and seeing some friendly faces. I knew we'd be looked after." Giggs is gearing up to start his first qualification campaign since being appointed as national-team manager in January 2018, with his team drawn alongside Croatia, Slovakia, Hungary and Azerbaijan in Group E for Euro 2020. However, before that gets under way, Giggs's men face the friendly at Wrexham's Racecourse Ground. The boss and his coaching staff. It will be a good opportunity for our record appearance holder to test the team's shape, tactics and a starting XI ahead of their qualification campaign. Wales host Slovakia on Sunday at the Cardiff City Stadium and will be hoping to kick off with a win against a side who finished second behind England in their qualification group for the 2018 World Cup. After that tough opening fixture, Wales then face trips to World Cup finalists Croatia, and Hungary in June.